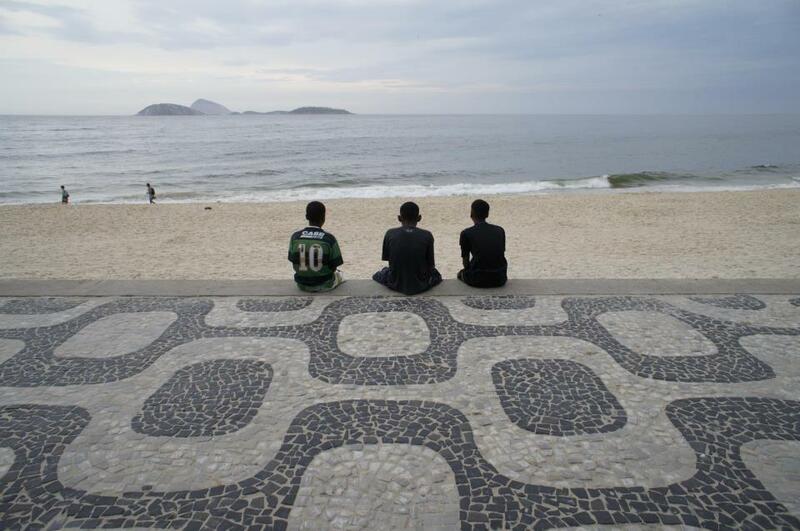 Are you[r friends] in Rio for the U.N. Rio +20 and want to get a first-hand look at what’s changed in the Marvelous City? The Facebook answers are for you and your visitors, too. So much is new and different– and we’re proud, after long decline, to show off the city that was only months ago a moldering village and is on its way to metropolis status. With warts, of course. The Dona Marta elevator. Since late 2008, this state-built infra with five stations offers an alternative to more than 800 stairs, between Rua São Clemente and the top of Rio’s first pacified favela. Check out the rooftop where Michael Jackson made a music video–after checking with the drug boss. Lapa on a Friday or Saturday night, when the main drag is closed to traffic, a recent development. Here’s a helpful blog post. 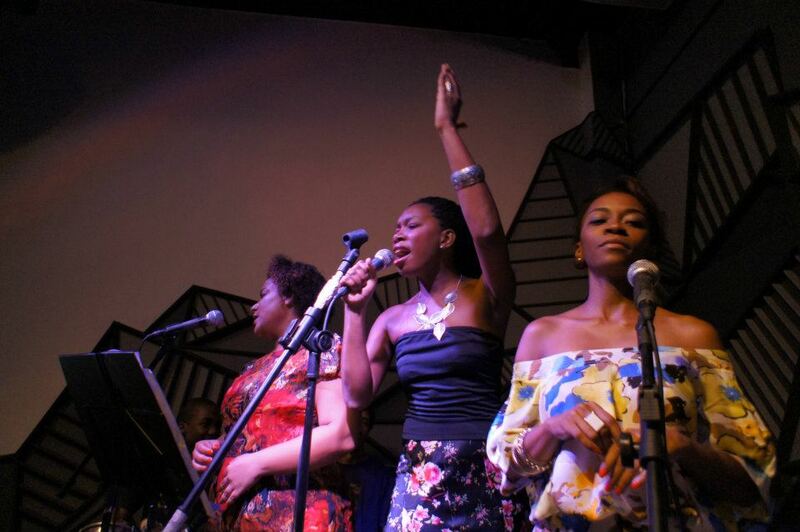 Enjoy the bars, cafés and music that goes far beyond samba these days. The Pavão-Pavãozinho lookout, opened in 2010 atop an elevator shaft above the Teixeira de Melo exit of the General Osório metro station. Ride up for free, see the views, and walk with local residents along a passageway into the favela where you can safely explore ever since the installation of a police pacfication unit in 2009. Note the light meters outside the houses; it’s all about taking people into the formal economy. There’s still a LOT of trash. 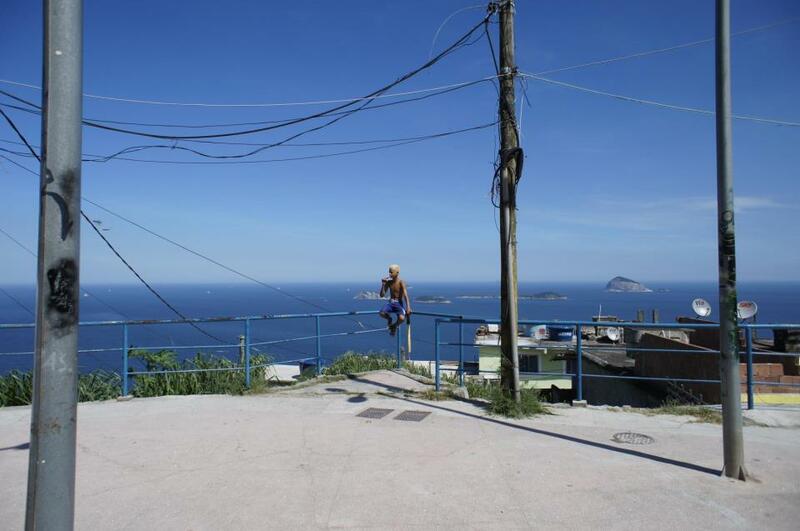 Vidigal favela, where foreigners have long had a toehold, is now host to an inn that throws parties and has a stunning view. The new gastronomic heartland of the North Zone, pioneered by Aconchego Carioca and its feijoada croquettes. Great beer, too. Cadeg market in the North Zone, known for flowers, Portuguese dancing, wine, codfish and olive oil, and some awesome restaurants. Revitalizing now. The Complexo do Alemão cable car system, also in the North Zone. Built by the federal government when drug dealers still ran the place, it’s controversial because no one bothered to ask residents if they needed or wanted it. Also, as this TV Globo report done by a local young partner journalist reveals, planning and construction were shoddy. Yet it’s an amazing ride of six stops over the famous complex of favelas that the army invaded and occupied in November 2010, a turning point for Rio’s pacification effort. Again, fabulous views– more of which can be found nearby at the Igreja da Penha, a tiny church atop a steep hill with a new cable car up to it (but take the stairs you’ve been having caipirinhas and eating fried manioc), an impressive array of religious mementos, miracle castoffs, slave artifacts and events such as the blessing of the motorcycles. For more, see this post about this locale that’s returned to the map of places you can safely go in Rio. The port area, a muddy proposition where you can see recent excavations of Rio’s long-forgotten Valongo slave wharf and a so-called slave cemetery (Cemitério dos Pretos Novos) which was actually a dumping ground for slaves who didn’t survive the trip to Rio (the world’s largest slave port in terms of total volume). An estimated 10,000 skeletons lie under two houses and you can see some of them in holes dug in the floor. A slavery memorial is planned. On a lighter note, enjoy Friday or Monday night outdoor samba at the Pedra de Sal, where slaves and their descendants have long made music, at the foot of the Morro da Conceição, another attraction worth a visit now that there’s a police pacification unit. The Trapiche da Gamboa is also nearby, a cozy samba venue with great snacks. Avenida Presidente Vargas, a swathe cut through the city in 1941 that never breathed on its own– until now, with myriad remodeling, retrofitting and building projects going on. The Rio-Niterói Bridge, from which you can see giant oil rigs under construction, Guanabara Bay chockablock with cargo ships, and (mostly in the Northern Hemisphere winter), colossal cruise ships anchored in the port . 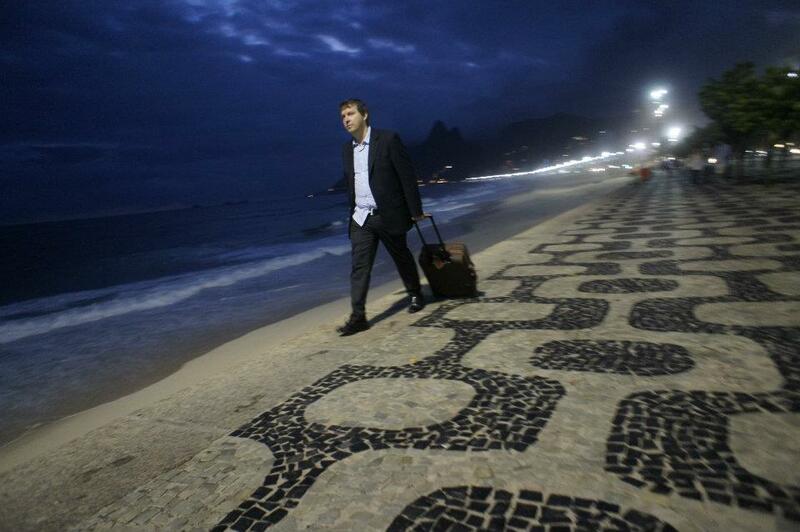 Money is pouring into Rio… but don’t take the ferry across the bay. It’s a mess, and about to be rescued by a federal loan to buy new boats. Morro da Providência, also near the port, another downtown favela with a police pacification unit. Port-and Olympics-related renovations, which involved the destruction of a praça and many homes, plus resident relocation, have drawn criticism. But it’s Rio’s first favela, dating back to 1897, and boasts the Casa Amarela, a vibrant photography center started by Maurício Hora, son of a drug trafficker, to engage local youth in photography. Bar do David, in the pacified Chapéu Mangueira favela above Leme. David draws a growing number of people (including, June 19, NY mayor Michael Bloomberg– and here’s a fun mayoral comparison, by the way) up off the asphalt for his seafood feijoada. He was the first favela restaurateur to place in Rio’s annual Comida de Buteco (bar food) contest. Chapéu Mangueira is also worth a vist because it’s being developed as a model for sustainable living, as part of the Morar Carioca favela upgrade project, meant to bring all Rio favelas up to standard by 2020. Last but not least, the traditional North Zone Imperator cinema has just reopened as a city cultural center, after the city undertook a thorough remodeling. Try to catch a show of some of that great oldtime samba! Thanks to André Sampaio (check out his WikiRio), Bruno Correia, Ana Amelia Whately, Gustavo de Almeida and Manoel de Almeida e Silva for their help!! For a more complete inventory of the changes being wrought here, click on the Cariocapédia. You may also want to take a look at the ABCS of Rio, here, still under construction. Do you have recommendations? Leave a comment– and share away, on whatever social media you use. This entry was posted in Brazil, Transformation of Rio de Janeiro / Transformação do Rio de Janeiro and tagged Aconchego Carioca, Avenida Presidente Vargas, Bar do David, Cadeg, Cais do Valongo, Cemitéiro dos Pretos Novos, chapéu mangueira, Complexo do Alemão cable cars, Dona Marta elevator, Imperator, Lapa, Morro da Conceição, Pavão-Pavãozinho Mirante, Pedra de Sal, Penha church, Rio de Janeiro sightseeing, Rio port area, Trapiche Gamboa, Vidgal. Bookmark the permalink. Como sempre um Blog “perfeito” que da vontade aos ausentes de voltarem para Rio. O Dona Marta conheco bem, meus filhos estudaram na escola Corcovado e fazia parte do currículo alemão da época interagir com as criancas da favela de diversas formas, ensinando instrumentos musicais, jogos, etc. Da Lapa lembro do Bar Brasil (nao sei se ainda existe) que tinha uma lentilha de dar agua na boca so de lembrar. Igreja da Penha…subi muitas vezes para pagar promessas feitas por minha mae, talvez por isso hoje meu desligamento com igrejas, apesar de falar com Deus quase todo dia. Nao sei se existe mas seria interessante na Ponte Rio/Niteroi uma passagem para ciclistas e pedestres. Trabalhei na area do Castelo, Centro do Rio durante décadas e costumava toda Sexta ir a um restaurante de peixes maravilhoso, Praça Quinze, perto das barcas. Pra mim o problema do Rio e unicamente o aumento de populacao desenfreado que inchou, nao somente as favelas, mas ruas, estradas, etc. Isso nao tem jeito. A único lugar com alto índice demográfico que pra mim nao perdeu a primeira posição no coração e NYC, aonde gostaria de ir mais vezes mas meu marido, apesar de nascido no Brooklin, detesta. Great article. 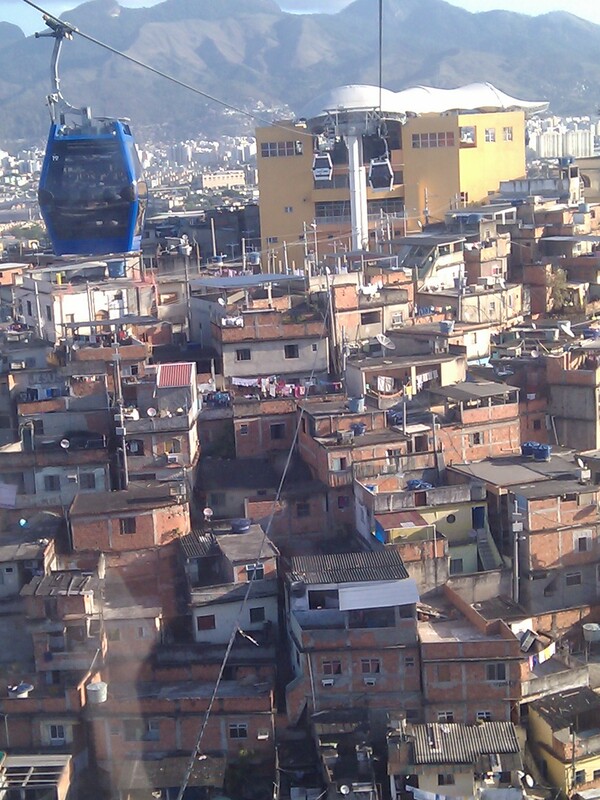 It really is wonderful to see more free exchange between favelas and the rest of the city. Thanks! I agree– it’s getting to be such a place with such rich culture. Great overview of new things to see/visit in Rio. I have to agree with Neusa. I have been living in Brazil (Volta Redonda) for 3.5 years, and been to Rio countless times. The big problem is getting around. Too many people, too many cars. During the weekend the traffic is a little better, but still… You’re 100% correct about the culture part though. You should stop by for a coffee sometime– except the parking on my street is horrendous! Oh, and about rush hour… how much time is there between the end of the morning rush hour and the start of the evening one? Sometimes I feel it’s rush hour all day long, no? I have never had any problem with the ferry (Barcas) between Praça XV and Niterói They run on time and are very comfortable. I much prefer the peace and quiet of the boat to the traffic on the Ponte Rio-Niterói. There’s been a lot in the press about them lately. Accidents and lack of passenger comfort. Julia, love the blog, thank you. I’m a gringo working in Sao Paulo. Just spent 4 days in Rio and loved it. We took the ferry to Niteroi to see the Niemeyer, and had a wander around. Ferry was great there and back, absolutely no problem. And the Niterovians on the street were VERY helpful. Best Wishes! And we took buses, once we had figured them out. Just as good as taxis, but cheaper, and way more interesting. Though of course, this is all in winter.